This was on board the Magic, a 52 foot Morgan Yacht off St. Pete Beach, Florida May 23, 2013. We were on a full moon dolphin drumming cruise. Next cruise is June 23 on Sunday. Go to the sign up page and get a space reserved now! 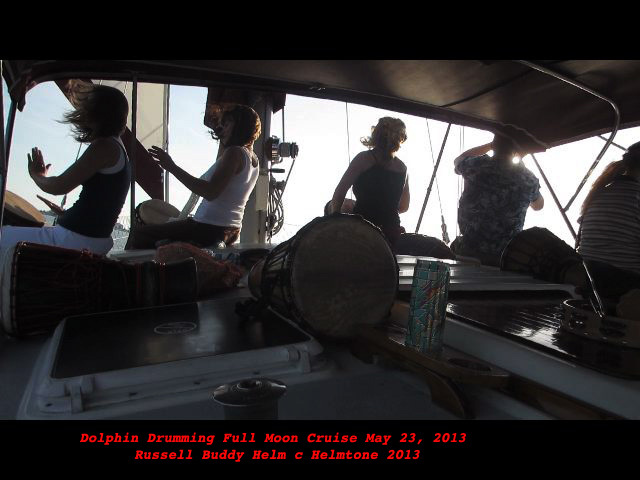 This entry was posted in dolphin drumming, Dolphin Sailboat Full Moon Drumming, DRUMMING ADVENTURES. Bookmark the permalink.